Back on the Market at No Fault to the Seller - True Oceanfront third floor condo in Sandcastles Beach Club. 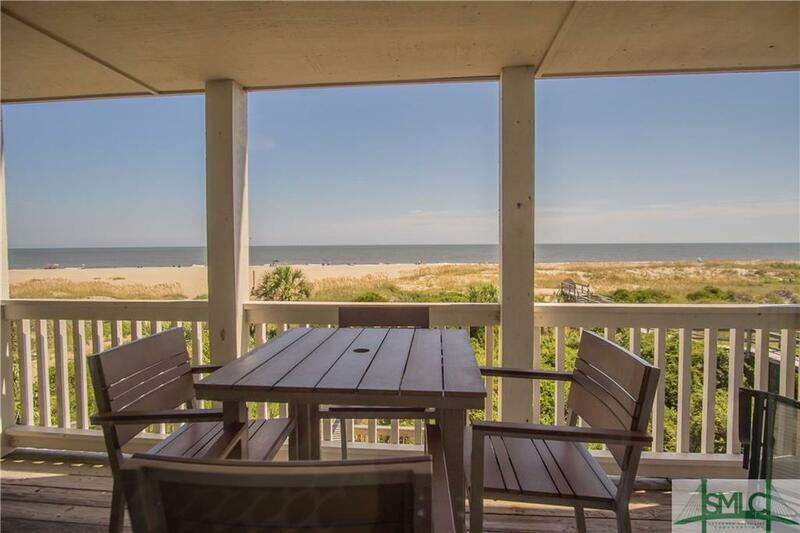 This three bedroom two bath condo is minutes away from the Tybee Pier, local shopping, and great restaurants. Drive under parking garage with elevator. With only 6 condos in this resort, this condo offers a relaxing and tranquil stay on the beach with unobstructed views of the beach and Atlantic Ocean. Enjoy the views and sunrise from your private balcony/deck w/ access from living room and master bedroom. Nicely furnished and decorated and sold fully furnished. The Sandcastle building offers a huge shared deck, outside shower, walkway to the beach and a yearly fee to Beachside Colony gives access to the 3 pools at Beachside Colony next door and enjoy the onsite restaurant & bar at Beachside. Storage closet in garage. This unit is currently on a vacation rental program and is a great income producing unit. Listing courtesy of Peter Randall of Keller Williams Coastal Area Partners. © 2019 Savannah Multi-List Corporation. All rights reserved.